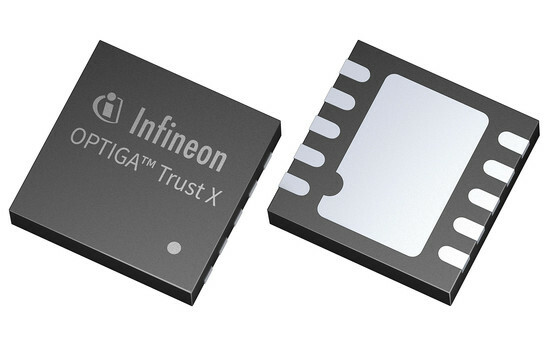 The OPTIGA™ Trust X is a turnkey security solution which provides robust security to the diverse applications in the Internet of Things, ranging from industrial automation systems and smart homes to consumer devices. The high-end security controller comes with full system integration support for easy and cost effective deployment of advanced security measures. It is available at Rutronik24.com as of now. The OPTIGA™ Trust X – SLS32AIA is based on an advanced security controller with built-in tamper proof NVM for secure storage and symmetric/asymmetric crypto engine to support ECC 256, AES-128 and SHA-256. The security controller comes with up to 10kB user memory that can be used to store X.509 certificates. NJU9103 is an Analog Front End (AFE) with an integrated PGA (Programmable Gain Amplifier) that can be used to process analog signals with an amplification of G-512. The internal 16-bit ΔΣ A/D converter can perform sampling rates from 0.814ksps to 6.51ksps and is equipped with a single-ended, differential and pseudo-differential input. NJU9103 provides the optimum gain for pressure and flow sensors thanks to versatile setting options. In addition to its wide input range, NJU9103 is characterized by its small package size (DFN8/SSOP8). It is, therefore, ideal for pressure sensors, flowmeters, thermostats, digital panel meters, and PLCs. The nRF52840 from Nordic Semiconductor is an advanced multi-protocol SoC for ultra-low-power wireless applications comes with an integrated 2.4GHz transceiver that supports Bluetooth 5, ANT, Zigbee, Thread and proprietary 2.4GHz protocols. Core of the SoC is a 32-Bit ARM® Cortex™-M4F CPU running at 64 MHz. With an on-chip memory in both flash (1MB) and RAM (256kB), the nRF52840 offers enhanced capacities for the use of several radio protocols simultaneously, as well as more complex customer applications. It is on-air compatible with nRF24 Series, nRF51 Series, and nRF52 Series products from Nordic Semiconductor, so customers‘ existing end products can also communicate with the new chip without any problems. The B5W-LD0101 air quality sensor is able to detect particulates in the region of just 0.5μm in diameter, significantly increasing the level of detection in the crucial PM2.5 range. The sensor comprises LEDs and photodetectors, which detect particulates in an ascending air flow created by an integral heater at the bottom of the sensor. The sensor provides two outputs as a stream of positive-voltage pulses; one indicates a particle of 2.5μm or more has been detected while the second output indicates that a particle of 0.5μm or more has been detected. Tests show that the sensor can typically detect 300 polystyrene latex particles measuring 0.5μm over a 20 second period in a concentration of 100μg per cubic metre.